I'm addicted to the Neo glamours, I swear! Small diameter, 3 tone lenses have always been my favourite - the big eyed "dolly" look does not go well with my face, I assure you. Small diameters are more comfortable for me, and don't give a freaky deaky look. Also, the blending of the 3 colours in Neo Glamours are so pretty and natural looking. I know what the Neo Glamours are like in terms of size, comfort and wearability, but I've never tried a gray lens. Thanks, Eyecandys! 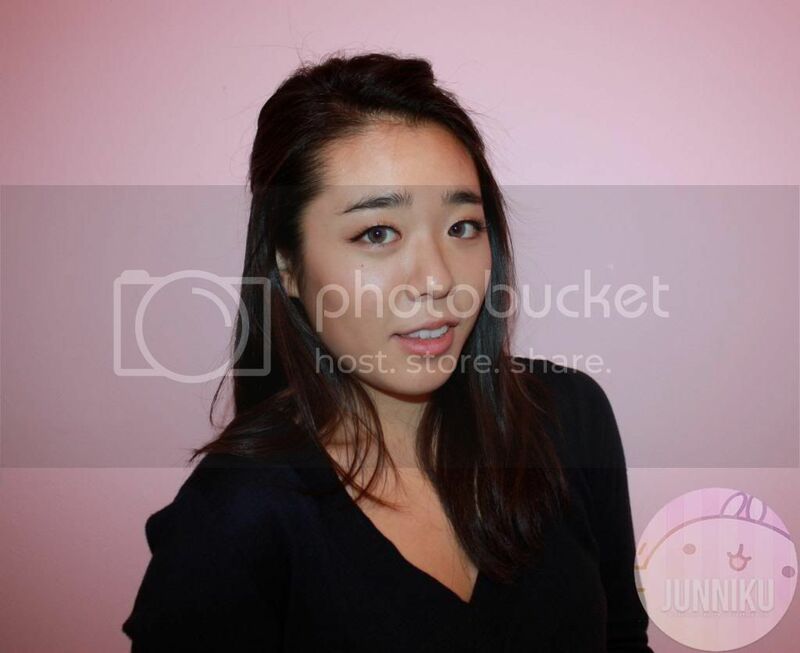 Eyecandys is one of the biggest and well known circle lens sites online. They've got an absolutely adorable store layout, it's the cutest (and most elegant) I've seen so far! It's easy to browse around and look for the circle lens design that you want. If you're new at circle lenses, have no fear - there's an information section for new lens wearers. I'd recommend giving it a peek. Here's what I received - a pair of the Neo Glamour Gray lenses in a cute little "star" mesh sacky (uh, what do you call those things?). It also came with the cutest little lens case I've seen. Monkey case, whoop! 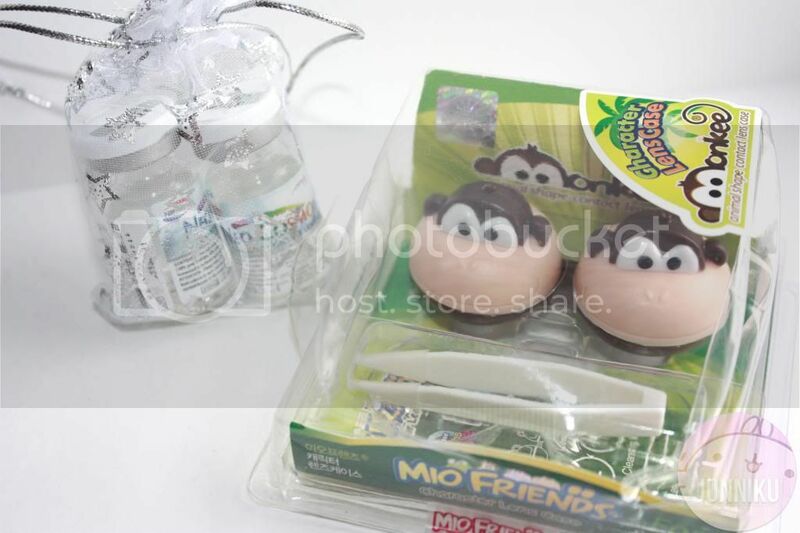 These 3D "Mio Friend" cases are really cute, and they come seperately and securely packaged. They also come with a little tweezer, which has been helpful for me. I don't really use tweezers to take out my lens from the actual case (admittedly, I use my clean fingers to do that - is that bad?) but they've been a lifesaver at taking out the lens from the vial. Those little suckers can stubbornly stick to the bottom of the vial! 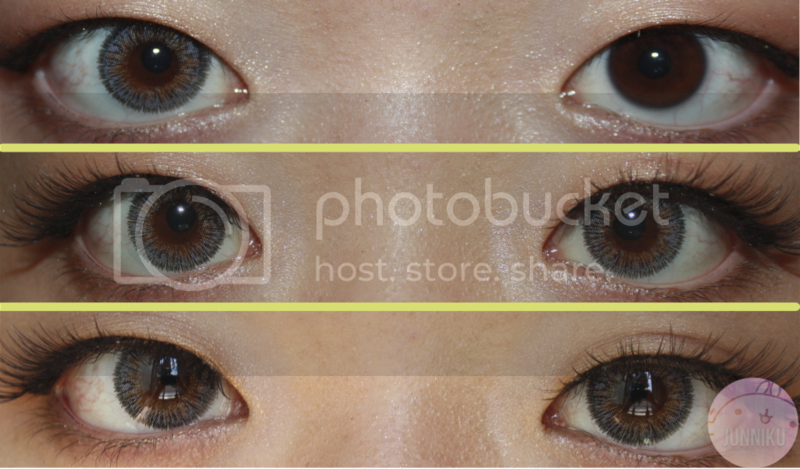 These lenses give a "sweet and natural look". It's one of Neo Vision's bestsellers on Eyecandys, and there have been lots of people who are super happy with these. Y'all know that the Neo glamours are one of my favourites, the design is lovely and very, very natural looking. The lenses themselves aren't too big either, but do give a little wee bit of enlargement. The following design description is from my Glamour green review. It begins with black/dark gray colour lines, and changes to an "icy" gray, then finishing off with a deep yellowy gold colour. Up close, the lenses have almost a "blue" colour to them, instead of gray. But from further away, it definitely looks more gray than blue. Store service was quick and nice, and I had the pleasure of talking to one of their employees, Chloe. As for shipping, it was pretty fast! I think I received these lenses within 2 weeks, and they were decently packaged (They came in an envelope, not a box). When I wore my green Glamours, I mentioned that sometimes the lens didn't "stick" to my eye, and moved around a bit. It kind of looked like a "halo" effect, but not as nice - it looked like a misplaced lens. This weird effect only lasted for a bit before returning to normal, and it wasn't a big deal. But with the gray Glamours, I don't have this mini-problem whatsoever. It doesn't move around, and gives me no trouble at all. As for design and colour - I do like it! I'm not too big of a fan of gray lenses because I don't think the colour looks as good on me, but it was alright. The colour payoff was good, and the lens colour covered my natural brown eyes excellently. The colour doesn't look too obvious from a distance - in my opinion, it looks really natural and gives a good "oomph" to your eyes. There's a slight, pretty change to the eyes. Note: I don't give half marks - and I like random red "A"s.
If you're looking for a large size, "look at me" lenses, I wouldn't recommend these. 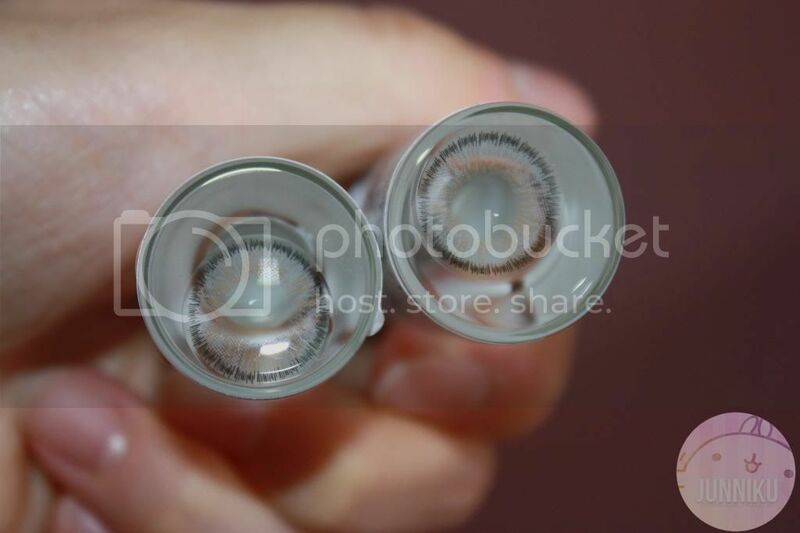 They're not big, and offer little enlargement; and the colour is too natural to be used for standout, obvious lenses. I'm holding an animal here, btw. Just incase you were wondering. Have you tried the Glamours before? What do you think of the grays? Do you like "natural" lenses? 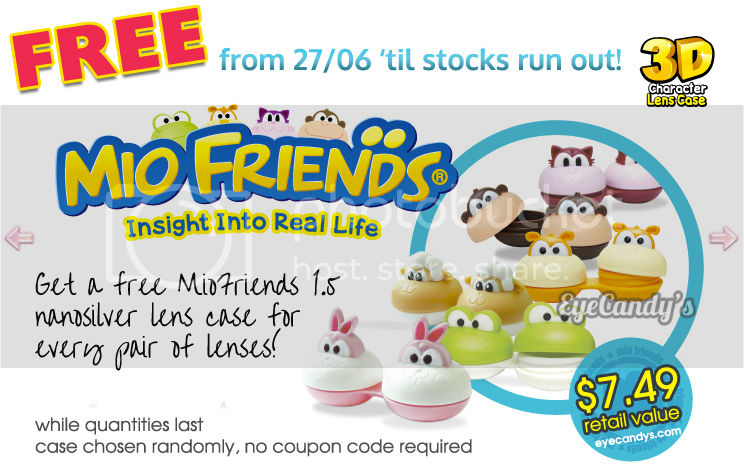 The lenses are very natural and pretty for every day use! Those eyes contact are perfect. I don't like super big dolly lenses too! 14.2mm is definitely the perfect diameter for everyday! :) I don't really like gray lenses though :P but still this one looks amazing on you! i really like these on you, so natural but really pretty! 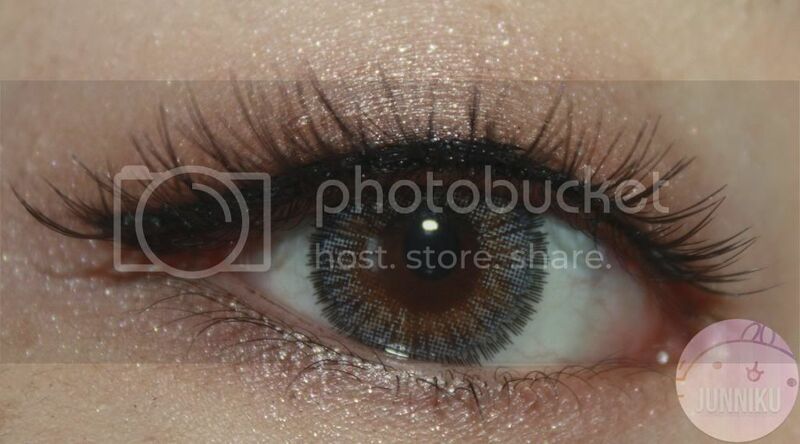 Oh that lens has a soft and retty color very natural but really cute too. Awesome review. Smaller lenses look so cute one you! Check out my post. I nominated you for the Very Inspiring Blogger Award! Aww~ the lenses look so good on you! :3 It's really pretty~ And it matches your eyes so well! 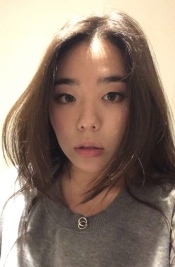 These lenses look really pretty on you! An the container is super cute as well! Regarding your comment on my post. . . 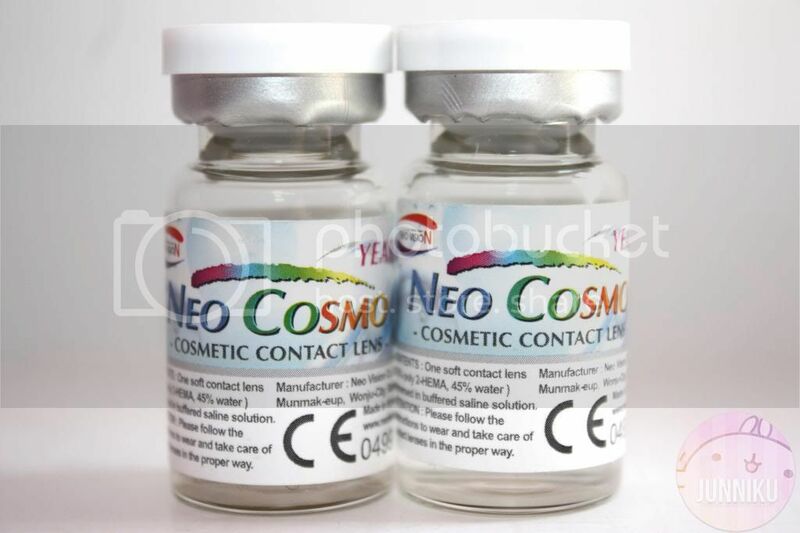 These contacts look so natural and gorgeous on you! 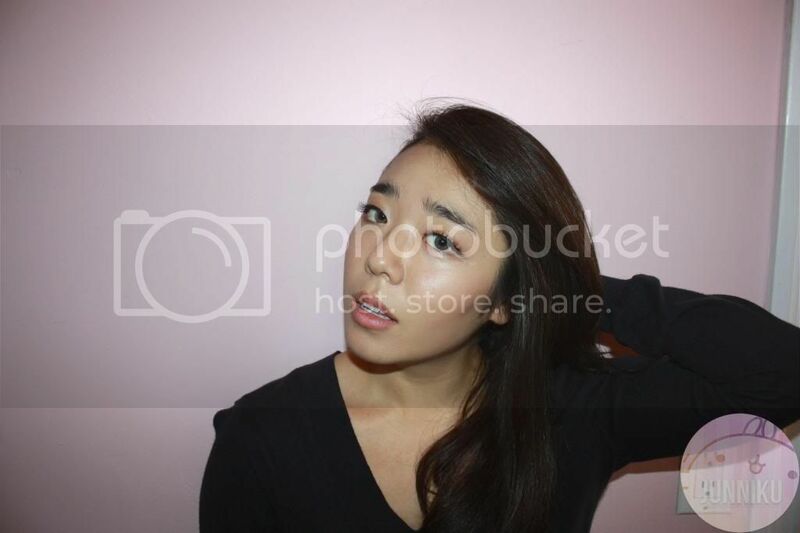 The second to the last picture of you, it reminds me of Tiffany from SNSD (Girls Generation). you look awesome with them on! Those contacts looks amazing on you! :) I actually have the same colored lenses, except that I have a grade and it's a little lighter than your shade. This is a really great review! And thank you for the sweet comment on my blog :) I've always wanted to try circle lenses but I think I read somewhere a couple years ago that they weren't the greatest for your eyes... But the look awesome! I really want to buy colored lenses but scared of using wrong and hurt me. Those lenses cases are so cute! You are sooooo beautiful!! with lenses or without gaaaah! oooh haven't tried new lenses in so long! these look so pretty, love the color and the pattern/effect. thanks for sharing. They are gorgeous! Those lenses with the eyelashes make for a striking look! DEM CASES THOUGH! I WANT! The lens look great on you!! The gray color of the lens blends well with your eyes.